LIVERPOOL: Liverpool cut Manchester City’s lead at the top of the Premier League to a single point on Sunday (Mar 10) as Manchester United slipped to their first domestic defeat under Ole Gunnar Solskjaer at Arsenal. Chelsea earlier needed a last-gasp equaliser from Eden Hazard to earn a 1-1 draw against Wolves as the race for the four Champions League qualification spots heats up. Just four points separate third-placed Tottenham, on 61 points, and Maurizio Sarri’s Chelsea in sixth, with Arsenal in fourth position and United in fifth. A disappointing run of results has badly dented Liverpool’s bid for a first English league title since 1990 and fans’ nerves were jangling after they fell behind against struggling Burnley at Anfield on Sunday (Mar 10). 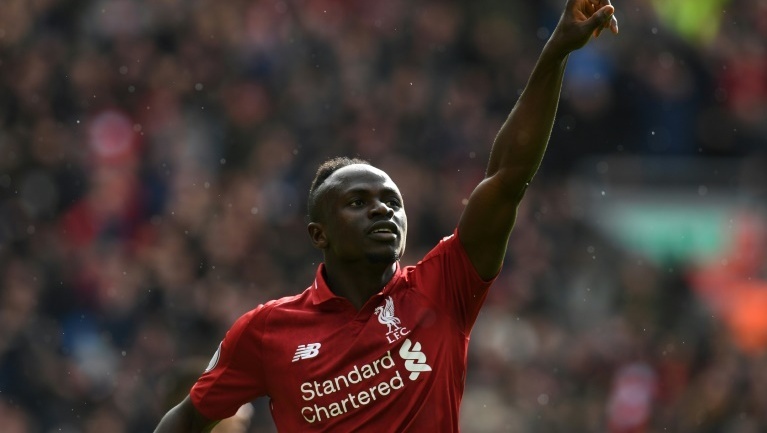 But Roberto Firmino and Sadio Mane both scored twice as Jurgen Klopp’s team battled back to win 4-2, lifting them to 73 points, one behind Pep Guardiola’s City, who saw off Watford on Saturday. “The message from today is that nobody gets rid of us,” said a defiant Klopp, whose team had won just two of their previous six Premier League matches. “We had the perfect mixture of fighting the opponent and playing football. Solskjaer had won 13 and drawn two of his previous domestic 15 league and cup fixtures since succeeding the sacked Jose Mourinho in mid-December but they fell behind in the 12th minute when Granit Xhaka’s strike from distance swerved through the air to wrong-foot United goalkeeper David de Gea. 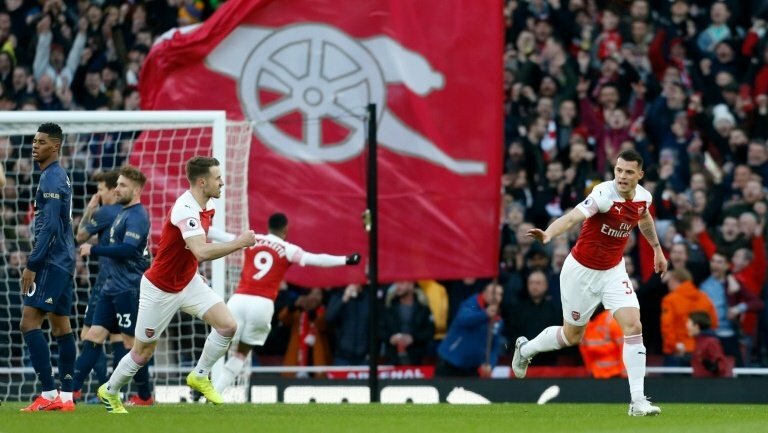 Arsenal’s 2-0 victory lifted Unai Emery’s side into fourth, just one point behind north London rivals Spurs and meant they leapfrogged United in the process as they target a return to the Champions League after two seasons away from Europe’s top club competition. “We created so many more chances today than when we beat them in the FA Cup,” said Solskjaer. “Sometimes it happens, we hit the woodwork twice and had five very big chances ourselves. The referee will be disappointed when he sees it as I don’t think it is a penalty. Emery said his players had given their all “against the best team at this moment”. The win was soured by an incident in which a fan ran onto the pitch and appeared to push United’s Chris Smalling after the spot-kick. It followed an incident in the earlier Championship game when Aston Villa captain Jack Grealish was punched by a pitch invader during the match against Birmingham. Arsenal later announced the fan had been arrested. Earlier, Hazard came to Chelsea’s rescue in injury time, firing in from long range to grab a point against Wolves at Stamford Bridge. City beat Watford 3-1 on Saturday thanks to Raheem Sterling’s 13-minute hat-trick but Spurs, on the fringes of the title race just two weeks ago, slumped to their third Premier League defeat in just four games against Southampton.